Colored pencil/pastel drawing on 13 x 20 inch blue paper from Lexie Palmore. Lexie made this in 1976 based on the attached photograph of the pilot house of the J.M. 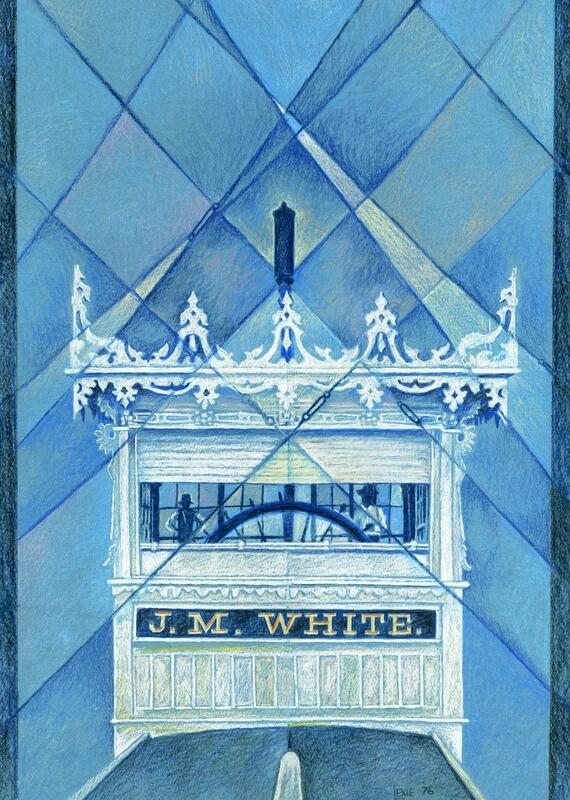 WHITE with a head on view of its gingerbread detailing that ran around the roof. The diagonal crisscross of the guy wires with different shades of blue inside the shapes reminds me of colored glass in stained glass windows and the Expressionist paintings of German American artist Lyonel Feininger 1871-1956. 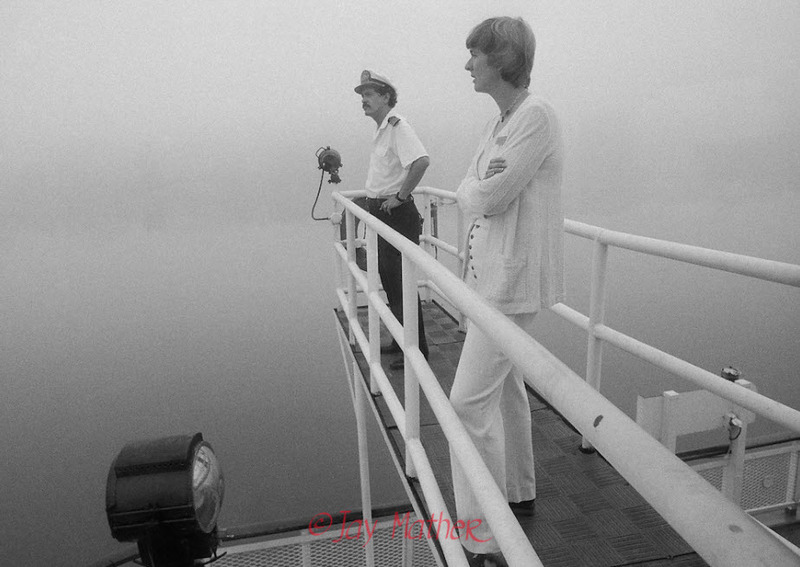 Photos of Lexie Palmore on the Delta Queen Steamboat, Ohio River, June, 1977. 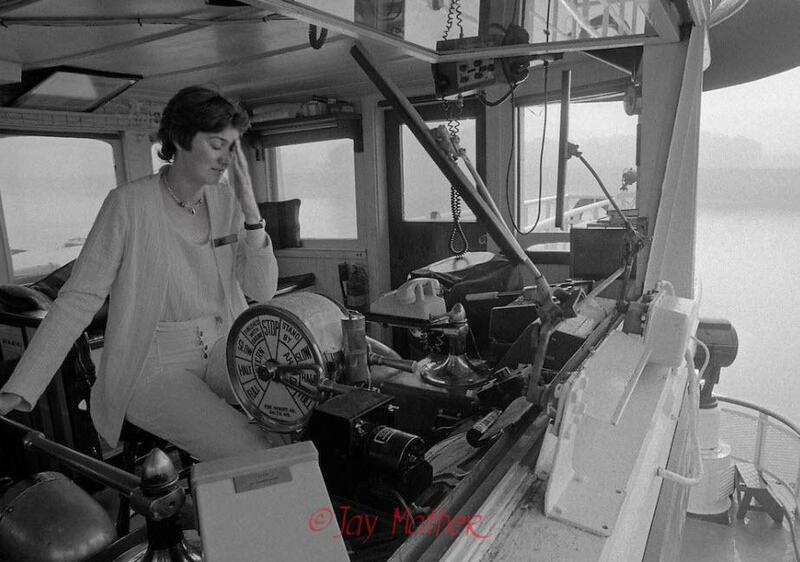 She was the first female to become a riverboat pilot trainee, completing courses at the National River Academy in Helena, Arkansas. 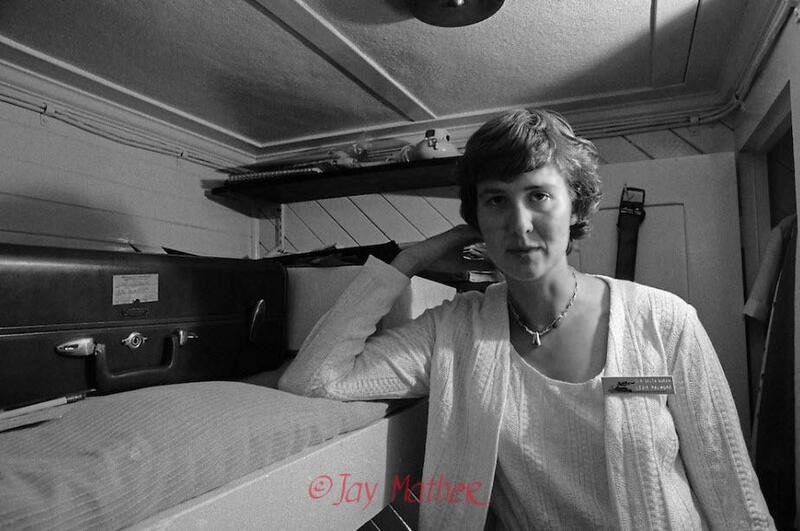 She began her interest in riverboating as a passenger on the Delta Queen, later becoming a cabin maid. 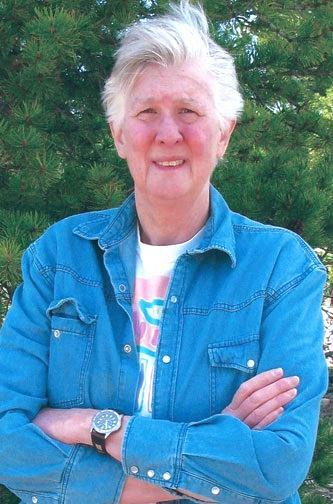 She now pursues her life-long interest in painting from her home in Leadville, Colorado. Lexie and Jim McMillan will help transport you to another part of Twin Lakes' roaring past, when Interlaken resort raged for wealthy, Victorian-era summer tourists escaping the city heat. The McMillan's two-hour narrated boat tours, stationed in the Red Rooster parking lot, have been going for six years, and business has grown consistently. "We had a really good summer," said Lexie of the Twin Lakes Interlaken Boat Tours. "The last two summers have been really busy," she added. "We saw a sharp increase for whatever it is people are wanting to do, whether that's to get on the lake, hike, enjoy the outdoors or the cool weather." Fall is looking good too for their boat business, with bookings steady into September. Weather will determine how long they operate into fall. But the leaf peepers are reserving ahead, she said. They'll be transported to the historic, long abandoned but recently revitalized Interlaken Resort on the south side of the lower lake where there are 10 buildings in all. "Built during the days of the silver kings it boasted of two six-sided outhouses, stables and dance hall," according to a postcard from Weber Photo Productions of Fort Collins. As the rehabilitation of Interlaken has moved ahead in recent years, it's become a favored destination for paddle boarders, canoeists and bikers and hikers along the Colorado Trail. 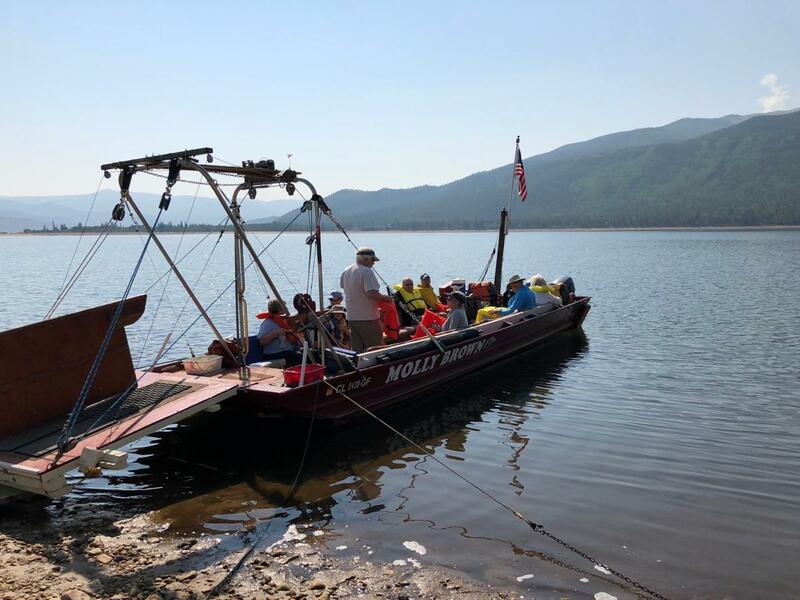 Nearby the McMillan's set-up, in a parking lot close to the White Star Campground, "Johnny Canoe," the owner of Twin Lakes Canoe and Kayak Adventures, said business during July was "bonkers." He said growth has been very strong over the past two years; he's rented boats at Twin Lakes for almost 20 years. It's the last big weekend of a busy summer season in Twin Lakes, permanent population around 70, where the scent of change extends beyond aspen leaves that are beginning their fall transition. About 36 miles and one zip code away from Aspen over Independence Pass, most days Twin Lakes village and environs feel a world apart from their close-as-the-crow-flies neighbor, whose fortunes have been linked by the road over the Continental Divide since the 1870s. At the 139-year-old Twin Lakes Inn, where an original door from the circa-1879 lodge is just one of the known artifacts from the dwelling that housed travelers embarking upon or recovering from the arduous journey over 12,095-foot Independence Pass, general manager Andrew Wald sees great things for the town. Wald and his partners bought the inn, which dates back to 1879 as a stagecoach stop, six years ago. They were part of a post-recession, Twin Lakes mini-renaissance that also saw young couple Carl and Katie Bryan buy the Twin Lakes General Store, the hub for travelers on the short haul and those hiking the Colorado Trail. The general store was sold one month ago to longtime local Bob Mathes, who could not be reached for this story. 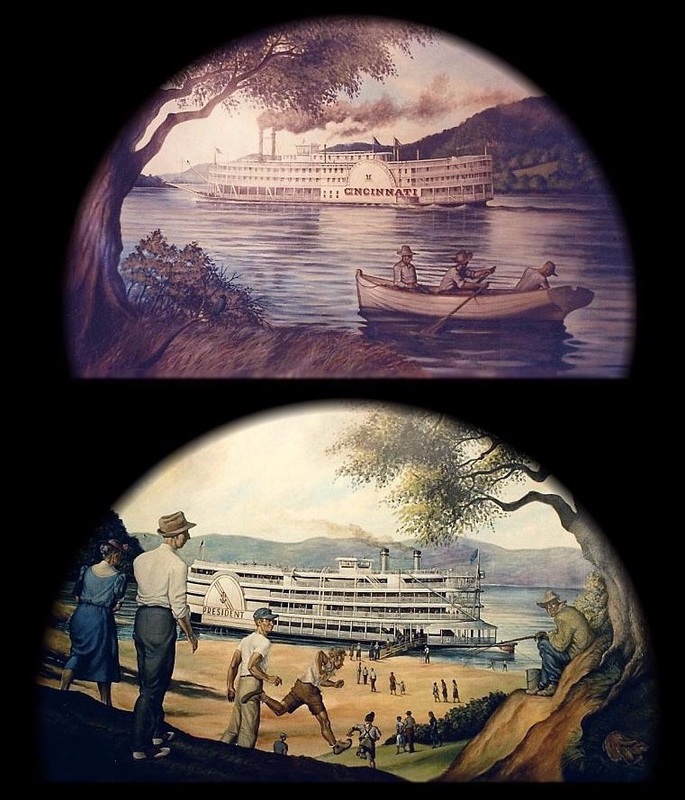 Two-hour-long narrated boat tours to the former Interlaken resort provide insight into the once exclusive summer resort on the south shore of Twin Lakes. This and other businesses around the lake seem pleased with summer 2018. Another Bob, Bob Dalzell, had only operated a coffee and tea business in a converted bus outside his front door on Highway 82 just down the block from the 12-room inn about one week when contacted recently. Dalzell, who first came to the area in the 1990s as a "snowboard bum," said it's a good complement for his Winterhawk dog sledding business that runs out of a local storefront. Asked if he thinks that Twin Lakes is on the rise, Dalzell said, "Oh yes, definitely," before offering some fresh roasted coffee from his bus on a day when the temperatures hit the 80s. Across the street and working his three-hour volunteer shift in the Red Rooster Visitors Center, Roy Sovine said he has enjoyed living in Twin Lakes since first buying property in 1984. More recently, the retired businessman said he's moved here full time and humbly bragged how his property values had escalated 10-fold. "It's a close-knit community," Sovine enthused, offering the popular potluck gathering every Friday outside the Shooting Star gallery as one example. It's not unusual to see attendance of 40 people at those gatherings, he said. The nonprofit Friends of Twin Lakes, which organizes the volunteers at the visitor center, has also raised about $50,000 through donations and grants over a five-year effort toward a much-needed fire station for the Leadville-Lake County Fire District. It will bridge the gap between Leadville and the playground above Twin Lakes that includes Mt. Elbert, at 14,431 feet the state's highest peak. Located on a 45-acre parcel off County Road 10, the building will include four bays, employee housing and room for a county grader. That's the kind of community effort that the Olsen family has sought for the better part of a century. Their settlement in Twin Lakes is now in its third generation and includes the family's matriarch who still oversees the rental of a small cabin compound. The family is accepting of change on the horizon which is emanating from a plan for an exclusive community called Angel View that is starting to work its way through the Lake County approval process. It's proposed for a 70-acre former fishing camp off Highway 82 and above Twin Lakes. "The gated community will feature paved roads and a concierge service while a homeowners' association will take care of facilities and maintenance," according to a recent article in the Leadville Herald Democrat. Its owner, Alan Elias, is holding open the option of keeping a helicopter on site for future access or use for the development, the article noted. To some it seems brave that the Angel View development would start to rise against the backdrop of an unincorporated town that has no formal governance nor organized trash pickup. Yet there appears to be no vocal opposition, the kind of which would have already emerged had this been rising in Aspen. In fact, the onus of change doesn't seem to bother any of the residents of this tiny town, especially given the history embedded in the hills above the lakes. "I liked where I grew up. But change and development are happening. 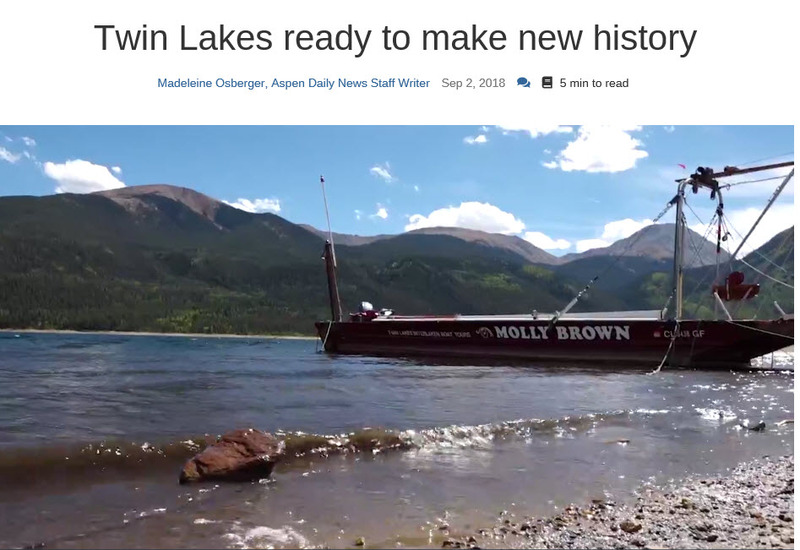 It's just one more step in the life of Twin Lakes," said Kirstin Olsen Wyatt, a third-generation Twin Laker. "It's gone from being a big resort town to an itty bitty one with three kids running around." Wyatt lived here with her family full time from age 6 to 14 before settling in Leadville. Her dad, Ken Olsen, was a two-time Lake County commissioner who operates an eponymous Leadville CPA firm. Kirstin's grandma, Catherine Olsen, still runs the cabins along Highway 82 that used to welcome tourists but now are rented long-term. At 90 years old—but admitting to only 87 for the past three years, the younger Olsen said with a laugh—Catherine is representative of the hardy stock needed to live in a town which is at a dead end for half the year and which demands a self-reliance that makes Walden Pond look tame. Wyatt, 31, said the locals also are prone to privacy, one reason why they are attracted to Twin Lakes in the first place. She recalled an idyllic childhood where the family would ice skate on the lake and her brother would snowmobile regularly up Independence Pass. Andrew Wald and some investors bought the Twin Lakes Inn about six years ago. They see a bright future for Twin Lakes but said some infrastructure improvements are sorely needed. Sovine, back at the Red Rooster Visitor Center which was built in the 1870s as a dance and gambling hall, shared what he planned to bring to that Friday night's potluck in the yard outside the gallery. Also gathering on a Friday were Robby and Maggie Campbell, who were finding their much-needed supplies to continue the next 1,200 miles along the Continental Divide Trail. They had recently surpassed more than 1,800 miles on a trip that began in March near the New Mexico trail. "This section along the Colorado Trail was among our favorites," said Robby Campbell as he loaded more dehydrated food into his pack. He also grabbed hot food from the Punky's food cart down the block and was eyeing some tea from Dalzell. While excited for his new coffee and tea roadside attraction and the ability to bridge the offseason with some cash flow, Dalzell, like other locals, shared the attraction of the sometimes dead-end road, a consistent part of Twin Lakes' past, present and future. "I love it when the pass closes for the season and I can let the dogs off the leash," he said. 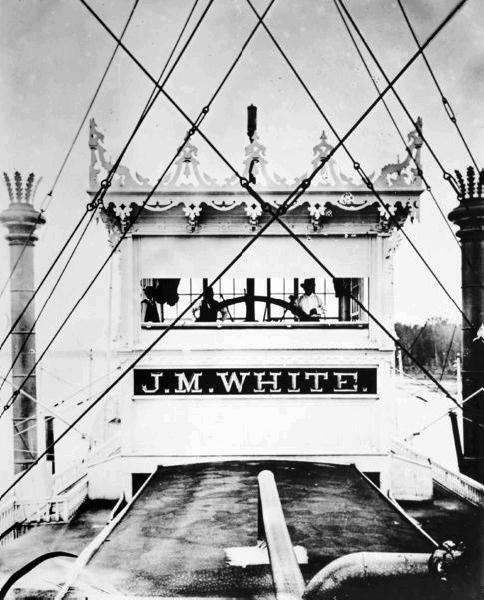 "Gone are the days of piloting a steamboat and seeing the world, although I still maintain a strong adventuresome spirit. And in that adventure I seek my inspiration for artwork. Perhaps you will see this in the work I have displayed on this web site. Perhaps you may even want to purchase some of that work. In any event, I welcome comment and look forward to establishing a line of communication with anyone interested in what I am doing."